The well-known Rasa chatbot-building platform is gaining weight day after day. But, in all platforms, chatbots are as good as their training material. Rasa, as other chatbot platforms, still relies on manually written, selected and tagged query datasets. This is a time-consuming and error-prone process, hardly scalable or adaptable. As everyone with bot training experience knows, it can take months to have enough content to be able to successfully train a conversational bot. Linguistics-based Natural Language Generation (NLG) is Bitext’s solution to that problem. 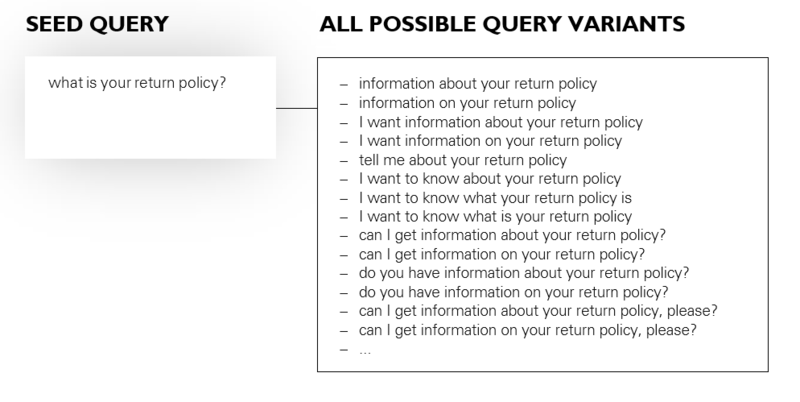 Bitext NLG solution takes as input a seed query, like “what’s your return policy?” and automatically produces query variants like "information about your return policy", "tell me about your return policy", "I want to know about your return policy", and so on. This provides a rich and consistent training dataset that is easy to integrate and free of manual errors. It will dramatically improve the NLU performance of your bot. What are the advantages of this process? Bitext NLP framework is able to take your training set, extract each sentence’s intents and slots, and generate hundreds of variants for each sentence that keep the same meaning but are expressed in a different way. All these sentences are returned correctly tagged with intents and slots, and come in the same format your bot will requires (the Rasa format). If you build bots, you must trust processes automation, so why wouldn't you automate the AI training phase as well? We have tested how Rasa can benefit from this approach, comparing a chatbot trained with a pack of hand-tagged sentences, and a second one trained with the thousands of sentences generated with no manual work via Bitext's NLG. 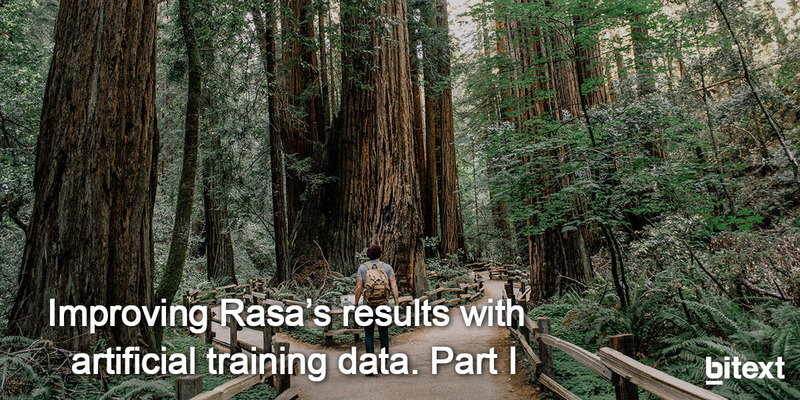 Our tests show at least a 30% improvement in the tests done against Rasa when we add NLG variants to the bot’s training dataset. Do you want to reproduce our test? You can ask for both our training sets and see how a Rasa training corpus can be vastly improved via Bitext’s NLG.